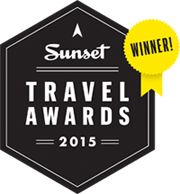 OARS has been routinely recognized for our commitment to excellence and innovation in travel. 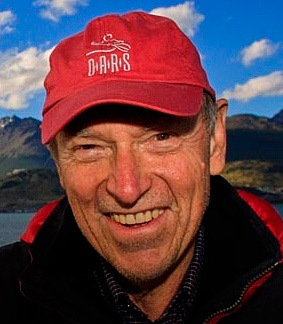 In 2000 Paddler Magazine named OARS President and Founder, George Wendt, one of their “Paddlers of the Century.” In 2006 he was honored by the Adventure Travel Trade Association with a Lifetime Achievement Award. Later, in 2012, Friends of the River honored George with the prestigious Mark Dubois Award for his significant contributions to river conservation, preservation and protection. 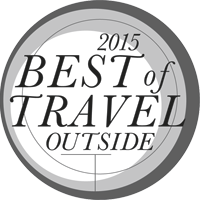 In 2015, Outside honored OARS with “Best River Trip” and “Best River Guide” as part of its annual Best of Travel awards. Previously, the magazine named OARS runner up for “Best Outfitter” in its annual Active Travel Awards. National Geographic Adventure has selected OARS as “The Best River & Sea Outfitter on Earth” for consecutive years based on education, sustainability, quality of service, and spirit of adventure. Year after year, other magazines such as National Geographic Traveler, Men’s Journal, Sunset, and San Francisco Magazine along with NBC, CNBC, Forbes Traveler and SmarterTravel.com have all recognized OARS for serving up some of the “Best Trips on the Planet.” Most recently,our Main Salmon: River of No Return adventure in Idaho was selected as the “Best Guided Outdoor Trip” in Sunset’s inaugural Travel Awards. 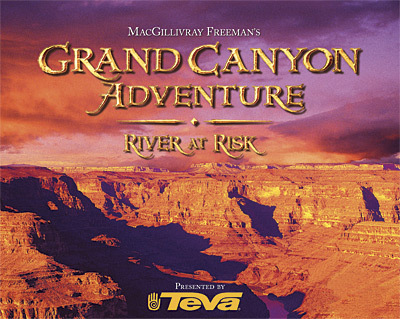 OARS was the official outfitter for MacGillivray Freeman’s Grand Canyon Adventure: River at Risk, a film for IMAX and IMAX 3D theaters. Featuring songs and music by the Dave Matthews Band and a 3D experience, Grand Canyon Adventure premiered in 2008 at IMAX theaters worldwide. Rivers Fiji has been recognized among the world leaders in responsible tourism as a finalist for the World Travel & Tourism Council’s Tourism for Tomorrow Awards, as well as for Virgin Holidays Responsible Tourism Awards and in 2010, the Prime Minister of Fiji Recognized Rivers Fiji with the “Exporter of the Year” Award for Tourism Services.